Sony is an interesting company, a downright fascinating one when you really think about how contradictory their actions and message are. This isn’t a knock on them, I respect them and enjoy their products, but I just find some decisions a little head scratching. Sony is really against cross play with rival companies. With the exception for PC. That’s odd in itself if you really think about it, I mean we all know PC players refer to themselves as the Master Race because of all the customization they can make to their games and because of their precise mouse and keyboard controls. You would think that, out of all the platforms, PC would be the one console players would be cautious with and, yet, cross play became the easiest to secure. Sony wants nothing to do with Microsoft players interacting with their player base and they have used every excuse you could imagine to prevent that union. People always criticize Nintendo because of some archaic business practices and with their slow natured evolution in powerful hardware and online interactivity. Yet, Nintendo has jumped into cross play without a second thought. Games such as developer Black Riddles’ Crazy Justice and Mojang’s Minecraft are examples of Nintendo’s willingness to unite players. This makes it even more odd that the leader in console sales at this moment, for whatever reason, wants to stay away from the competition. Now I under keeping your exclusive games on your platform but why not allow cross play? What’s the harm on keeping a game’s online community healthy and alive by having one pool of players instead of dividing them into platform release. My console of choice, Nintendo excluded, is the Xbox One. However, as much as I love the console I can tell you that finding games in, say, Overwatch takes longer than someone playing on PC. Cross play would effectively eliminate that. Nintendo and Microsoft can see this but Sony refuses to participate. With Sony so against being associated with the competition, the question now becomes why they are going to publish games on other platforms. Yes, you read that right. Sony announced, through their music division no less, that they are creating a new game label called Unties. Ironically enough, releasing on the PlayStation 4 doesn’t seem to be a priority at all but releasing on PC and Nintendo Switch are. Welcome to bizarro world. The only situation I can think of that is similar to this would be Minecraft but that seemed like an exception due to Microsoft purchasing Mojang for 2.5 Billion dollars. It was unintentional and byproduct of the purchase but this, this is intentional. The goal is for Unties to provide small independent developers anther avenue to release their games and in some cases, the publishing wouldn’t cost the developer a thing. It sounds nice and more games having the opportunity to be released is always a good thing but with record high PS4 sales figures, the PS4 would be enough. The first announced game for this label is Tiny Metal, targeted for November 21 for PS4, PC, and Switch, and I’m curious how this will end up selling. Sony has either become so big that their message doesn’t translate to other divisions or each division can act independently from one another. Ether way it’s mixed messaging when you look at everything as a whole. One thing they are clear on is that they will not do any business with Microsoft. I don’t understand it. Phil Spencer has gone out of his way to talk Sony into cross play and to congratulate them when they’ve reached successful milestones but even with all that, Sony just doesn’t like Microsoft it seems. Even more interesting, they will release these games on Nintendo Switch. With mobile gaming so extremely popular in Japan, see those 3DS sales figures, and the Switch on its meteoric rise, well, you would think Nintendo would be getting the same silent treatment. Maybe Sony has gotten too cocky and this could end up costing them. We have to wait and see with Tiny Metal’s sales figures across both platforms. The answer to all these questions might be able to be answered with one five letter word: Money. Publishing these games, regardless of how many copies are sold on rival platforms, will bring them money and allowing cross play does nothing for them. I love Sony and their exclusives, they make excellent content, but when I buy a game they aren’t my first choice. I’m not saying someone is waiting to buy a PS4 for Tiny Metal, even though it looks great, but if they did wouldn’t Switch, with its various gameplay options, be the better version to own? I mean let’s also not forget that Sony has gone out of their way to release their exclusive games to PC players through their PS Now service. So now I pose the question to all the readers: do you think this will be successful for Sony or would you rather have cross play? This article states my stance on things but it’s only because I don’t like consoles, games, and companies failing and people losing their jobs. 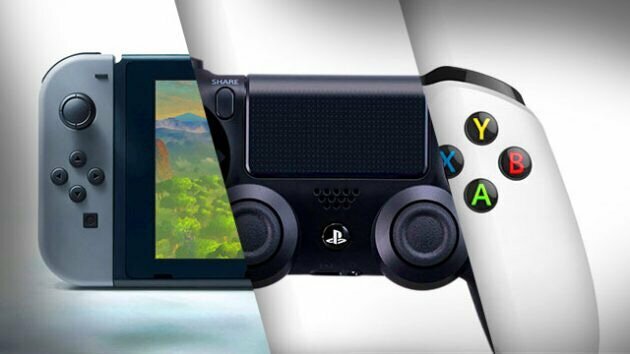 People may turn away from Sony if a game like Call of Duty released and allows cross play between Nintendo, Microsoft, and the PC community because the longevity of the online community would be more substantially sustained.